Monday morning dawned with big news for both the ski world and the stock exchange: Vail Resorts, a publicly traded company, announced plans to buy Whistler Blackcomb for $1.06 billion. Adding another $36 per share to Vail shareholders on Wall Street, the deal also adds the largest ski area in North America to Epic Pass holders. Sorry, Mountain Collective. The Epic Pass wins this round. (Update 8/9: The Mountain Collective announced that, despite today’s news, Whistler will stay on its pass for the 2016-17 season. Vail later announced that Whistler will join the Epic Pass the following year.) 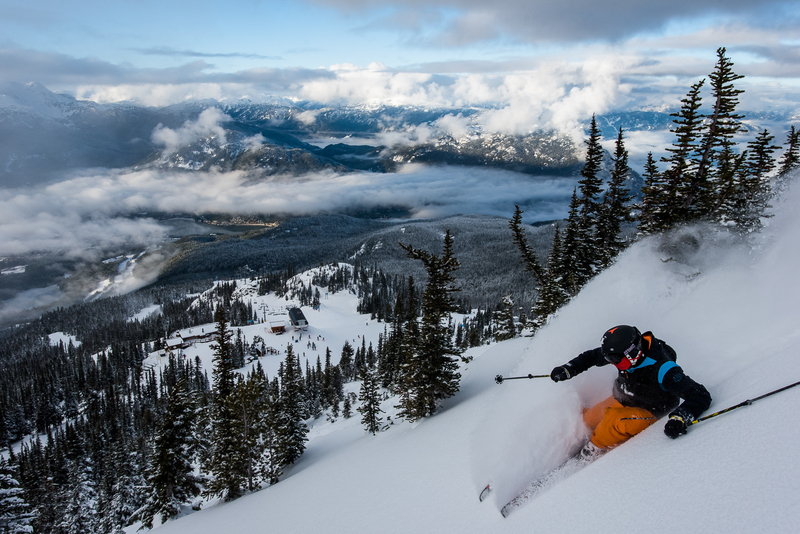 With 8,171 skiable acres, Whistler Blackcomb dwarfs every other ski area on the continent. Last year, Vail spent $182.5 million to buy Park City Mountain Resort in Utah, which settled a controversial turf war and litigation between Park City’s previous owners and the landlord, and enabled Vail to merge Park City with Canyons Ski Area to create the second largest ski area in North America at 7,300 skiable acres. Let’s say this: Size matters to Vail. The moves also signals change for the future at Whistler, which celebrated its 50th Anniversary last winter. In January 1966, the Girabaldi Lift Company opened a four-person gondola, a double chairlift, and two T-bars with grand dreams to one day host the Winter Olympics. Blackcomb opened in December 1980, which spurred an arms race for development and expansion between the two then-independent ski resorts. In March 1997, Whistler made a deal with Blackcomb’s owners, Intrawest (the pre-cursor in corporate skiing to Vail and the big development player of the late ’90s and early oughts that went aflame when the economy tanked), to become one unified ski resort operating on two mountains. In 2008, Whistler unveiled the Peak 2 Peak Gondola, an engineering feat for ski area transportation and a symbol of how far expansion and development can take skiers into the mountains. Two years later, Whistler Blackcomb finally accomplished its original dream, took the world stage, and hosted the Winter Olympics. Whistler’s Renaissance is a $345 million investment to bring year-round recreation to the ski resort in the form of an indoor waterpark, another indoor “action-sports complex,” an outdoor non-skiing “Adventure Park,” new chairlifts, restaurants, and snowmaking, extended development phases for the base village at Blackcomb, a six-star luxury hotel, and more ski-in, ski-out condos. See for yourself what the future at Whistler will look like. If a ski resort as large and seemingly successful as Whistler, with a robust business district at its base, is openly admitting it needs a more diverse portfolio to survive climate change, then what does this mean for other ski areas?